Just got back from our walk – more cows being photographed. 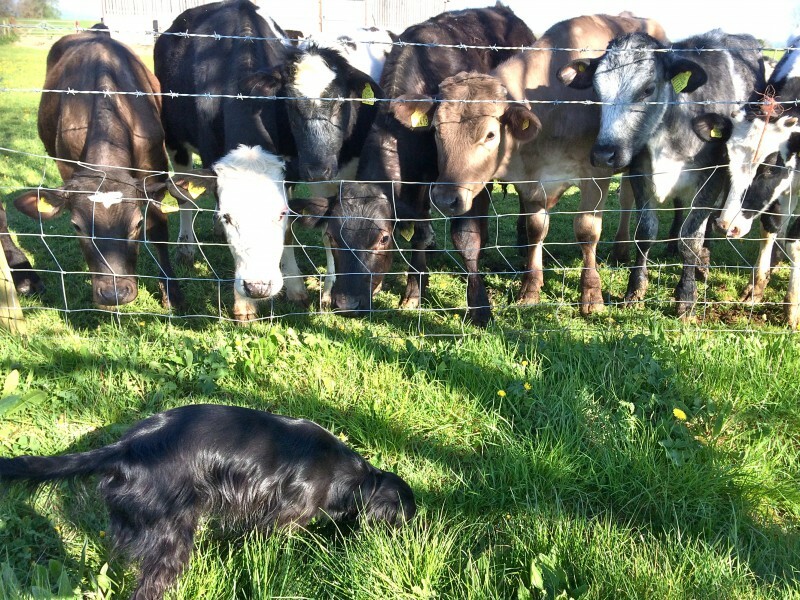 They all couldn’t get enough of me – snorting at me through the fence – charming! Not sure why cows are so interested in the likes of me – obviously I am gorgeous, but when I go to play with them, they all run away – fickle fiends. 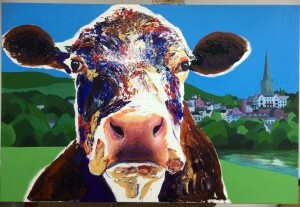 Anyway, she’s doing this big commission painting of a brown and white cow with “Ross on Wye in the background”. She’s yet to paint this Ross character – all I can see are a few buildings and trees. It’s for this show home that is going to have lots of her cows in all over it. She’s nearly finished it, I think. Maybe she’ll paint me next? I won’t count my Bonios yet though….